Beginning with the America’s Cup World Series in Portsmouth on 25-26 July, BT Sport will offer live coverage of all America’s Cup racing to viewers in the UK and Ireland through to the finals in 2017. The BBC will carry highlights programming from the America’s Cup after acquiring free-to-air broadcast rights for the event. This will include the 2015-16 America’s Cup World Series – including the Portsmouth events – as well as the 2017 America’s Cup Challenger Playoffs and America’s Cup Finals are included in the BBC agreement. “With Sir Ben Ainslie leading the charge for Britain, and with the first event of the America’s Cup World Series taking place in Portsmouth in July this year, we know the interest level in the UK has never been higher,” said Harvey Schiller, the Commercial Commissioner of the America’s Cup. Sir Keith Mills, Chairman of Teamorigin Events and Founding Shareholder and Director of Ben Ainslie Racing, said: “The America’s Cup World Series event taking place in Portsmouth this July will be the first time a British team will compete in an official America’s Cup event in British waters since 1851. This is going to be an historic occasion where we expect up to 500,000 people attending the event and with BT Sport’s support as the exclusively live broadcaster, and the BBC showing highlight programming, many millions more will be engaged on TV and online.““We’re thrilled to be able to bring the story of Sir Ben Ainslie’s quest for the America’s Cup to millions of fans in the UK and Ireland,” said Simon Green, head of BT Sport. Barbara Slater, Director BBC Sport says “The BBC is delighted to be able to offer viewers highlights programming for the next two and a half years of America’s Cup racing. We’ve followed Sir Ben Ainslie throughout his brilliant Olympic career and covered his remarkable contribution to the dramatic America’s Cup climax two years ago, so we’re delighted to bring the latest chapter in his career to a wide audience of existing fans and newcomers. The UK TV follow the news that French broadcaster CANAL+ has acquired the broadcast rights to the America’s Cup for more than 50 international territories, including France, Monaco, and French-speaking Switzerland. Under that deal, CANAL+ will broadcast live racing and highlights from all events, including the America’s Cup World Series in 2015 and 2016, the Red Bull Youth America’s Cup, America’s Cup Qualifiers; Challenger Playoffs; and the Finals in Bermuda in May/June 2017. 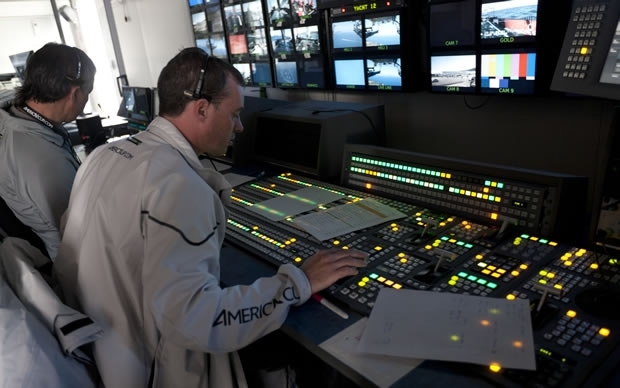 “CANAL+ Group is proud to once again broadcast America’s Cup in more than 50 international territories and bring to its subscribers around the world this outstanding television experience. The comeback story of the 2013 America’s Cup thrilled our subscribers and remains vivid in their memory. We expect the next America’s Cup to stand up to its legacy with exciting new boats, teams and racing formats in the America’s Cup World Series events as well as the final events in Bermuda in 2017.” said Maxime Saada, CANAL+ Group Head of Pay TV Channels.